Gujarat is certainly a place like no other when it comes to attracting throngs of tourists with its natural exquisiteness along with wonders of history, culture and architectural brilliance. It is a destination that should not be missed by an aficionado of culture and art. 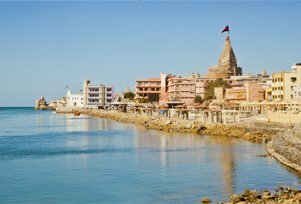 This 05 Nights and 06 Days itinerary is a perfect tour for savouring the best of Gujarat's tourist destinations. The destinations covered in the tour are Ahmedabad, Rajkot, Somnath, Porbander, Dwarka and Jamnagar. 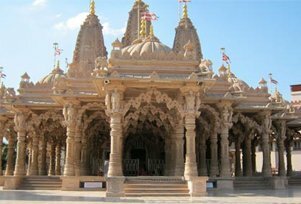 The major highlights of this trip are sightseeing tour of Ahmedabad consisting Akshardham Temple, Gandhi Ashram and Calico Museum, Darshan at Virpur Temple, Darshan at Somnath Temple, Exploring Porbander, which is the hometown of Mahatma Gsandhi, and the journey to the legendary Dwarikadheesh Temple. The tour incorporates visiting the engrossing architectural feasts, ancient places and consecrated pilgrimage destinations.